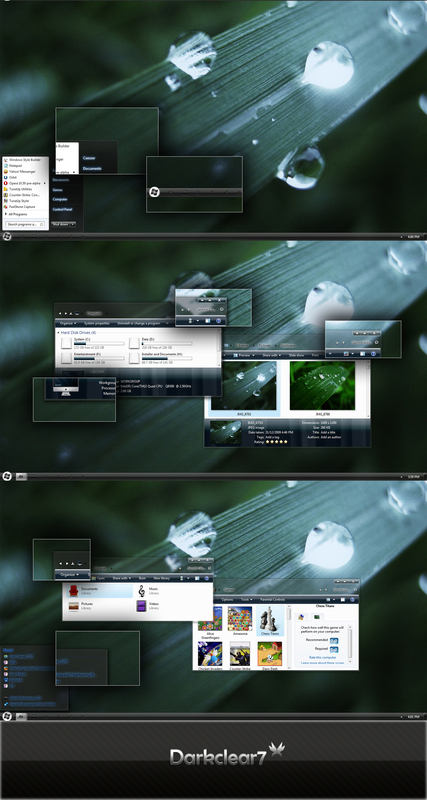 Since I've installed my new OS, Windows 7 Home Premium, I am really interested of many people who were making their own theme. I spent a month and work out in creating my own theme. 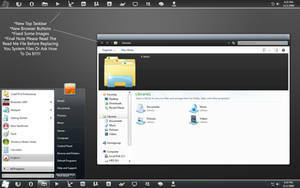 Another from me, inspired by Windows 7 Darkclear for XP[link] .Then try to make my own. Let me share with you. 3. 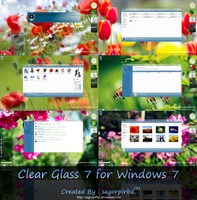 Choose the 'Darkclear7' theme in the 'Installed Themes' section. Right-click, take ownership for the original system files & move it to the other folder as backup.For the explorer, just copy it into the folder windows & the others just copy them into the system32 folder. Right-click, take ownership for the original system files & move it to the other folder as backup .For the explorer, just copy it into the folder windows. The explorerframe just copy it to sysWOW64 & the others just copy them into the system32 folder. Notes:You're advised to make a backup of your available\original components before replace them with the components provided in the pack. Can't get this to work... And I'm not what you'd call PC-illiterate. 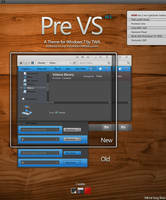 Hey I installed the theme as you said and it only installed the wallpaper and sent me to windows clasic theme!! what did I do wrong?? I'll try to make things a little clearer for 64-bit users, since (no offense caeszar) the original instructions are pretty unclear. 1: Take ownership of the files C:\Windows\SysWOW64\explorerframe.dll, C:\Windows\explorer.exe, and C:\Windows\System32\explorerframe.dll. 2: Backup the same files. 3: Overwrite these files with the files from the 64 folder of the visual style pack (I'm not sure if explorer.exe should be copied into system32 as well, but I don't believe so). It's easiest -if you know how- to do this by closing explorer, and using command prompt run in administrator mode to copy the files over, or you can try to do it manually. 4: Restart explorer/reboot the computer, and it should be done. A lot of the confusion (for me at least) was that I was trying to copy the files from the 32 folder into the system32 folder, and that caused some rather serious problems. You in fact have to use the explorerframe from the 64 folder again to copy into the system32 folder. After that, you should be done. Good luck to you all. Just want to be clear on the instruction for 64bit, i put the 64bit explorer in C/Windows and 64bit ExplorerFrame.dll in sysWOW64, then put the 32bit explorer and ExplorerFrame.dll in system32, right? Also, when I patch, do I need to patch both 64bit and 32bit with UxStyle Core? WTF!! it dont work to my pc.. help me ..
i have a rproblem replacing the explorerframe.dll into the system32 folder..it always says "you need permission to this action".any help pls? Nice theme...Any way to make the "light blue" menu select a higher contrast? I think the start menu text glowing is pretty beast. 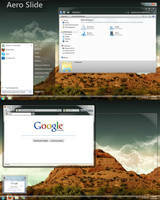 The minimize and maximize dont look too good. Other glowing texts is exaggerating the nice feature. Thanks for this skin it looks very nice and clean! I was wondering though... how I could show my notifications? I've gone into the settings and put them on show icon and notifications but for some reason it isn't appearing. I'd really like this so I can keep an eye on my antivirus along with steam. Thanks for this skin though ! help me.....i do really dont knw how to install to my laptop.teach me....can u send me the guide to my email add? prohaiza@yahoo.com. thNKS.. Awesome work! I like it! Very impressive, I'd like to say. What folder should I right-click? what is the other folder? it's unclear. Sorry, right-click means you takeownership the folder 'windows' to enable you to modify the component inside it. Do you have video tutorial? I just can't make it work.